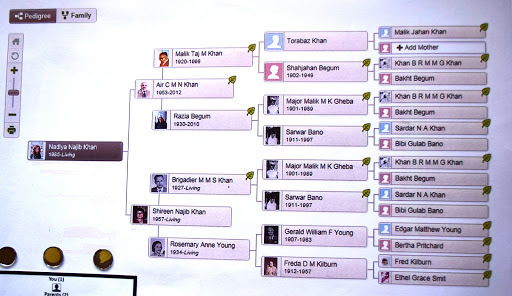 Today my Genealogy Journal will continue its Pedigree section where I have dedicated a page to each of my great grandparents and great great grandparents. The least I could do to honor my past generations was to dedicate a page to them, to their lifestyle, hobbies and how they spent their time. Gathering all these details, made me feel close to them like never before. Through my intensive research, I found out really interesting things about my ancestors which I never knew. This is my Pedigree and last two columns are dedicated a page as follows. Unfortunately, no one I know could help me find details of my dadas family which is why the above page is pretty empty. That concludes My Pedigree section of the journal. The next part is very interesting where I have dedicated a page to my important finds of this project. lovely. Cant wait to see the rest of it.